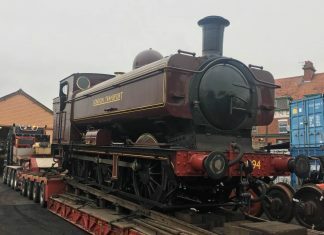 The Bluebell Railway has reached a milestone for their Operation Undercover project as the first carriages move into a new shed at Horsted Keynes. Started in 2008, a campaign was started in 2014 after the completion of the Northern Extension Project. In a few weeks, £350,000 was raised and since then, donations and grants have raised a further £200,000. Construction of the new shed started in 2016. As of 2017, the roof work was finished to cover the 4 storage roads as well as the maintenance road. Before, all work had to be undertaken in the open air. Track for two of the four storage roads have been laid and work undertaken has included a revision to the point layout and track work in the Horsted Keynes downyard. OP4 will provide cover for 24 carriages in all. Previously, carriages awaiting restoration would be protected from the elements with tarpaulin. 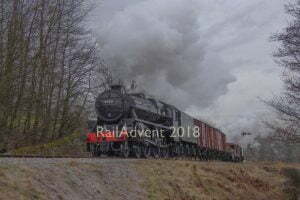 The first carriages to go undercover were LB&SCR Director’s Saloon No. 60; Maunsell corridor brake composite No. 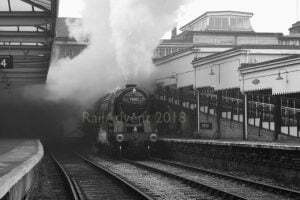 6575; and Bulleid semi-open brake third No. 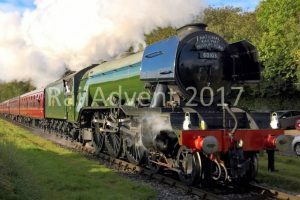 4279. What did the officials say? However, he added, this milestone is not the end of the project, but it is “the end of the beginning”. There are still further phases to complete, and these include external and internal walls and doors, plus further improvements to the maintenance area. The immediate focus is now on completing a Heritage Skills Centre as a key part of the project. 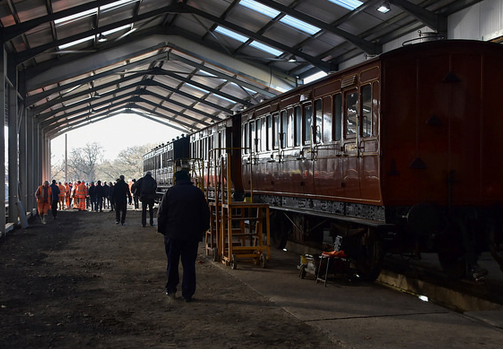 This phase will include offices, workshops, and a training area to ensure the skills of carriage and wagon restoration are preserved for future generations.